A healthy meal plan will take into account your daily activity levels, and the amount of strain your body goes through daily, and till supply all the nutrients your body needs, while keeping the raw calorie count under control. Most importantly, it will be light, and will take into account your body’s personal abilities to digest foods of different types. Keeping this in mind, it’s imperative that a healthy meal plans to be followed to lead a healthy life. We list a few things to help you with eating healthy, and staying healthy. 1. Breakfast Plans: Whole wheat bread with butter or jam, along with a cup of toned milk can be the start of the day. If milk doesn’t work for you, try to get fruit juices like orange or sweet lime juice. The exact number of bread slices will depend on your daily activity levels, but two to four is usually a good place to begin. You can also try a single boiled or poached egg, but avoid fried eggs as there’s really no need for oily fat early in the morning. This is another important meal that most people don’t even know about. Try to keep this light and nutritious. Advised foods include fruits and whole-grain bread. Both of these balance carbohydrate intake with vitamins, or roughage. This meal is usually taken at around 11 in the morning, mostly when you are at work. Keep it short and light, with not more than two items to eat. Eating too much can prove to be quite counterproductive at this time of the day. Again, depending on your job, and daily routine, alter the requirements, but a healthy intake of minerals and vitamins is essential. Try to get some lean protein in, so a chicken or a turkey sandwich helps. Combine that with a refreshing fresh fruit drink, but not any caffeine. Caffeine alters the biological rhythms of the body, and therefore must be avoided unless in emergencies where I absolutely necessary. A light dessert can also be taken to provide a quick energy boost. 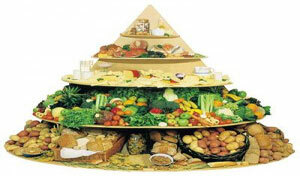 Supper healthy meal plans is another much-ignored meal that is essential in keeping your weight under control. Frequent small meals serve to keep your body’s metabolism balanced, resulting in a higher basal metabolic rate, which in turn causes your body to stay healthy. For supper, try a fresh salad along with some fruits, preferably citrus. Citrus fruits increase your body’s ability to heal, and this makes you feel very energetic at all times. Keep this similar to the midday tea since it serves a similar purpose. Fresh vegetables and lean protein for dinner is always a good idea. Your body heals itself faster when you’re asleep. And there’s nothing better for than that to provide it with all the materials it needs to properly execute the healing process. Apples, pomegranates, oranges, and plums are some good fruits, along with vegetables, and a small carbohydrate source like two piece of whole wheat bread. A small dinner helps your body remain light and healthy, allowing for better internal functions. A healthy meal plan which accommodates all nutrients, and allows your body to maintain itself will go a long way in life since your performance depends directly on how healthy you are, and how you feel.